January – the 4th week is National Irish Coffee Week. January 25th is National Irish Coffee Day. May 16th is National Coffee Day. May 24th is National Coffee Day in Brazil. July 22 is Coffee Week. July 24th is Coffee Day. September 12 is National Coffee Day in Costa Rica. September 19 is National Coffee Day in Ireland. 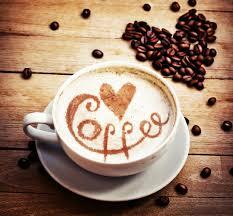 September 29th is National Coffee Day. October 1 is the Japanese National Coffee Day. November 24: National Espresso Day. December 26 is Coffee Percolator Day. National Coffee Holidays are celebrated all over the world. It’s obvious that coffee lover’s are world wide and love any excuse to drink coffee.